Eat Sleep: Simple Baby Tracking by Make Sail, Inc.
Eat Sleep is the simplest way to track your baby’s eating, sleeping, and diaper habits. It’s designed so you don’t have to mess with timers, alarms, or typing. All the important stuff can be entered with a one-finger tap. 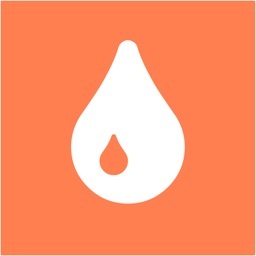 View all eat/sleep/diaper events for each day, or view the combined history of any individual activity. 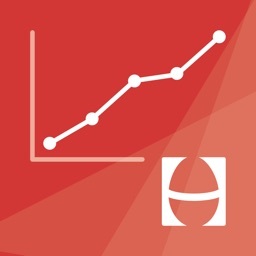 As you continue using the app, you’ll be able to view trends from day to day, week to week, or month to month. 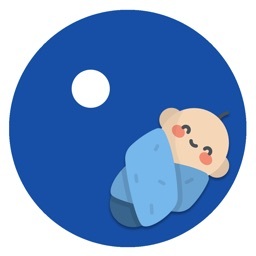 Unlike some apps, Eat Sleep isn’t overflowing with features you may not need. 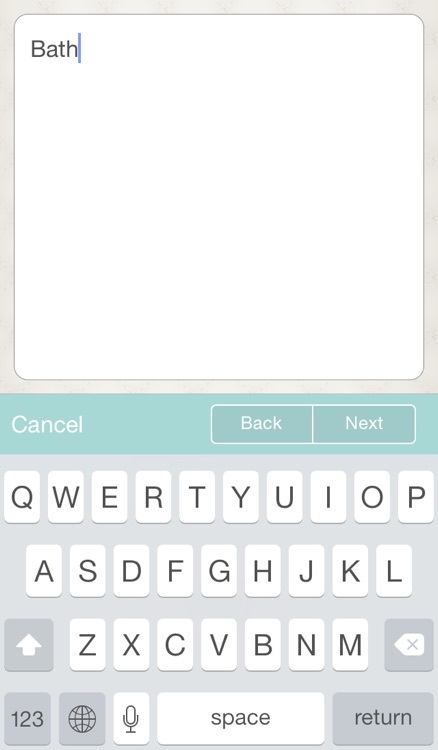 A real, working, first-time mom helped design the app so it’s simple and easy to use. 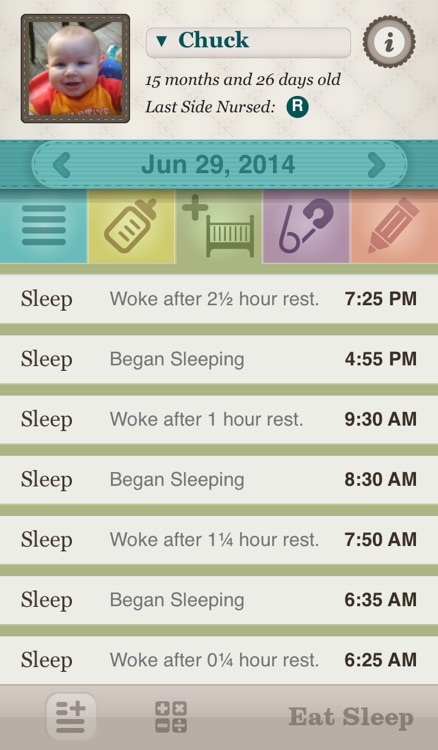 Eat Sleep tracks the information your baby’s physician cares about most without being needlessly complicated. Eat Sleep also includes a simple note-taking feature which allows you to track special events or routines. You can also now track multiple children. 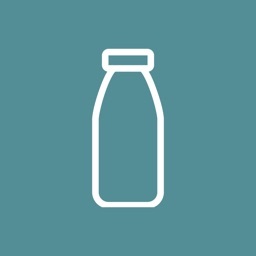 Eat – Track how long your baby was breastfed and which side. 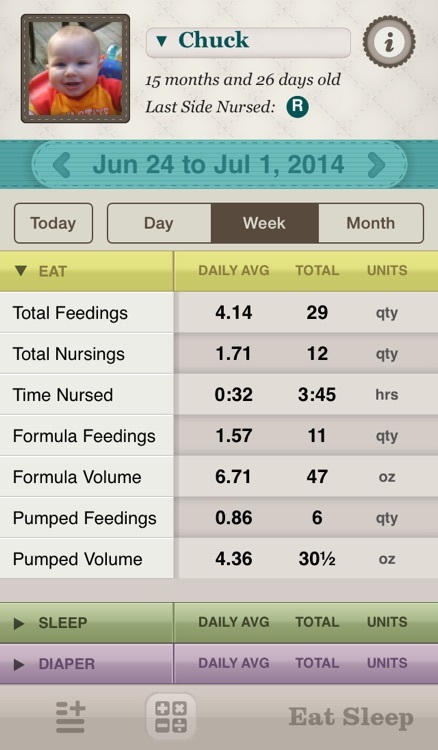 You can also track the amount of formula or pumped breast milk your baby consumed. Sleep – Simple options and no calendars to mess with. 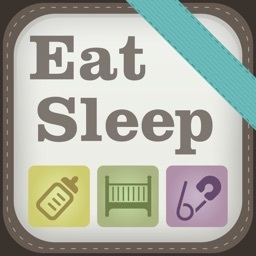 Select when your baby finished sleeping and approximately how long—the app does the rest! Intuitive menus help jog your memory and let you enter blocks of time quickly. 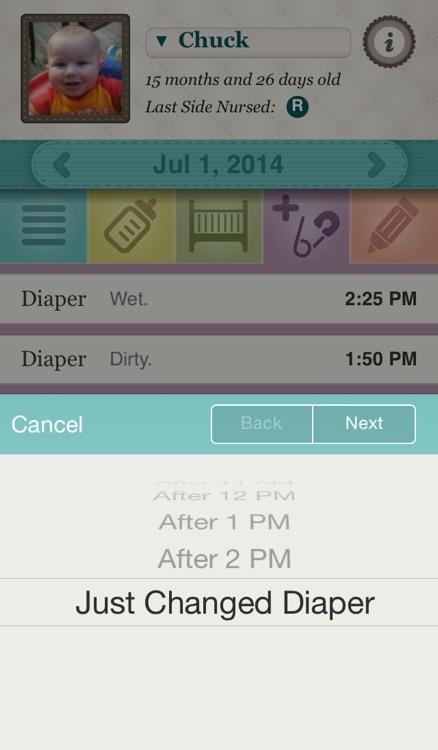 Diaper – Keep tabs on diaper changes and whether diapers were wet, dirty or both. This is especially important for breastfeeding moms who need to know if their baby is eating enough! 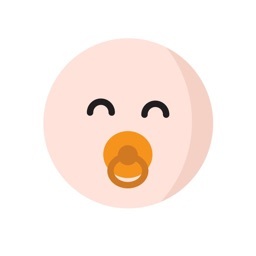 BabySync - A paid feature that allows you to back up, share, and collaborate on your child with others! Eat Sleep is free but does contains ads. You can simply remove these ads while also supporting the makers of this app through an in-app purchase on the settings screen. Need help with the latest version of Eat Sleep? Please email us at [email protected] We're happy to help!